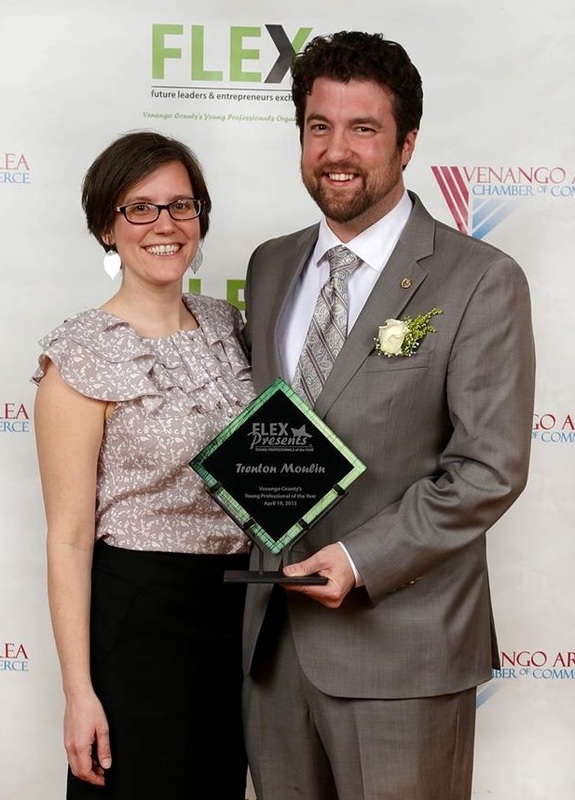 Trenton Moulin, Executive Director of Bridge Builders Community Foundations, was selected as Venango County’s Young Professional of the Year and received the FLEX Award at a Venango Area Chamber of Commerce ceremony April 10, 2015. FLEX is short for Future Leaders & Entrepreneurs Exchange. In the photograph, he and Bre, dressed in their party clothes, are holding the new doorstop. We may cut back his salary as no one should be that happy on the job. And yes Trenton, thanks for the great work.